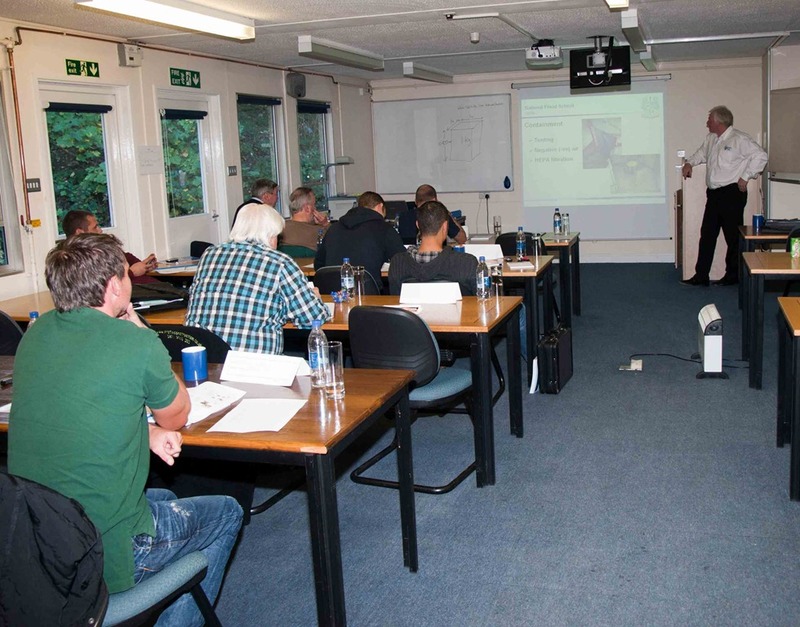 Last week I spent two days in Farnham, Surrey, at the National Flood School. The course was Mould Remediation. I’ve spent many a happy hour learning how to avoid mould growth,by controlling humidity and temperature. Flooding doesn’t respect normal precautions and sadly, mould growth is often a result of any flood, be it ground water or a burst pipe. Mould is really just a fungus, just like dry rot, wet rot or mushrooms. The difference is that each mould growth is usually tiny, so when areas of a wall or ceiling are covered in black, blue or white mould, you are really looking at a colony of outbreaks, grouped together in a massive mat. Studies have shown that there can be as many as 80 million spores per 1cm2 of mould. Once a mould colony is established, that’s quite a seed bank. Apart from being unsightly, mould can also cause smells. This is caused by chemicals released from mould. Generally, these Microbial volatile organic compound (MVOC’s), are harmless too. But not all are. Some moulds do contain small traces of compounds which can cause harm. This harm can range from minor allergies, in those susceptible. Through to invasive pathogenic strains, which can physically invade human tissue. However, the vast majority of people are not as serious risk from mould. Nevertheless, mould is expected to be a growing problem. New building regulations are resulting in virtually airtight houses, with breathed and re-breathed air trapped in living spaces. This, combined with the array of modern water producing gadgets in the home (showers, microwaves, washing machines etc. ), is raising humidity and mould is invading our homes. Add a flood and it’s not surprising that mould appears quickly. I see plenty of black mould, white mould and even green mould in houses all over Yorkshire, when I’m out surveying….Anyway, back to the course. Day one was mainly theoretical study of mould types, mould physiology and potential for harm. This was fascinating. Did you know that some moulds produce Mycotoxins that are carcinogens? The HSE even have a Work Exposure Limit for Aflatoxin B1 – which is produced by the very common Aspergillus species of mould (EH40 Biological organisms as hazardous substances). Don’t panic though, we’ve lived with mould for millennia. As I write several million tonnes of leaf litter is falling and will be consumed by leaf mould – if things were that bad, we’d be dead already. The problem only really concerns mould in enclosed spaces and particularly where vulnerable people are present. Premature babies, people with suppressed immune systems, perhaps after surgery or due to other illness and the elderly. In these cases it is better to be safe and apply best practice when dealing with mould. Best practice? Well, as usual this has been worked out in The USA. basically the course demonstrated how to identify, categorise and then contain and remove mould – all with the minimum of risk to people. Day two was taught in the National Flood School’s ‘flood house’. I kid you not; they have a house with a sprinkler system inside it. Gallons of water are sprayed so students can learn hands on. Drying buildings quickly and safely. For the purpose of the Mould Remediation (thankfully), we weren’t sprayed. However, different mould contamination scenarios were dealt with. We learned to divide spaces and rooms off, use negative pressure to contain spores during cleaning and filter air right down to below 1 micron, so that all spores were removed. Cleaning and swab testing was also covered, along with waste disposal and equipment maintenance. Overall, I was impressed. The Flood School is a great resource for learning with dedicated staff who are really keen to help. Course tutor Adam Jankowski was knowledgeable, enthusiastic and extremely credible. I’d recommend the course to any surveyor who wants to brush up on this growing problem. I will certainly be treating mould with more respect than in the past and maybe I’ll get involved in mould removal, though I’d like to think I can help my Yorkshire client’s avoid mould problems, even after flooding. Beware of some of the American stuff – their view is ‘mold is gold’ and some of it is wrong. Other than incidents in Agriculture it has never been established that mould is THE problem – what has been established is that continuous dampness does affect SOME individuals who are sensitive. Dampness causes additional problems to that of moulds, eg, bacteria, dust mites, virus’, etc. A further factor is that of the occupants – often such people have poor diets, smoke, etc, and this is thought by some to be an additional factor. Toxicity is down to dose – all things are toxic given sufficient dose. Of the VOC’s produced by moulds some are extremely toxic – if they are produced. However, studies have certainly indicated that in a heavily infected building the levels of these ‘toxic’ materials are extremely unlikely to reach those that theoretically could reach real danger levels. Nevertheless,it is always prudent practice to remove the mould WHERE IT IS ACCESSIBLE but most important remove the dampness. 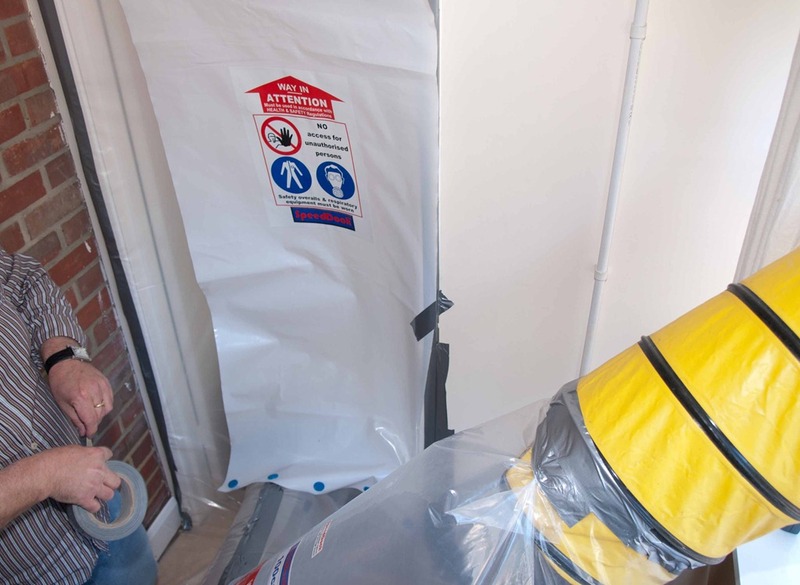 If it is behind dry lining/isolated/hidden then it can be left – just remove the cause. And as you quite rightly say we have lived with moulds for millennia and we are still here and not dropping down like flies!! One has not to be careful to sell fear but if it is US led then it will certainly go down this route. Also read the WHO review which is reffered to. The other problem is that not infrequently there are more cfu’s outdoors than in – and this is what people forget – they think moulds are only present indoors. Variations are enormous, freqently ‘contaminated’ buildings having much lower levels of cfu’s than uncontamianted buildings/areas. I understand that the Americans have ‘qualified mold inspectors’ – apparently they are nothing of the sort, let alone ‘qulified’. The so called ‘toxic’ effects are completely over stated, nearly verging on the bogus in some cases. However, there WILL be a need for mould remediation and I really wouldn’t want to barge in to a ‘contaminated’ house and then be potentially subject to legal action, on the basis that we’d somehow put people at risk. The ‘mold is gold’creed is a dead duck, but clearly insurers in particular will want to see diligence demonstrated on site.